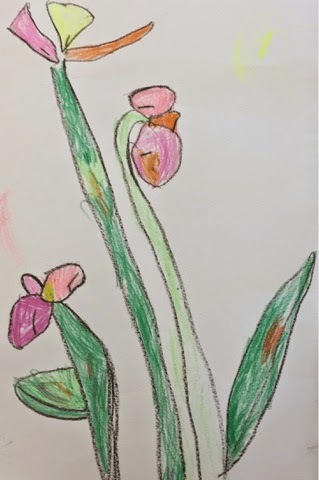 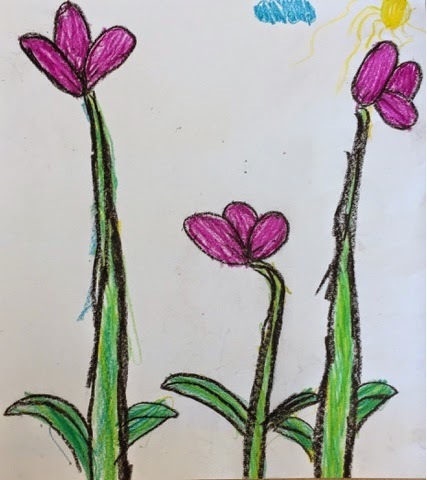 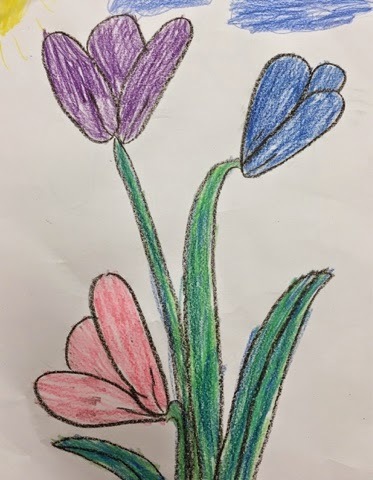 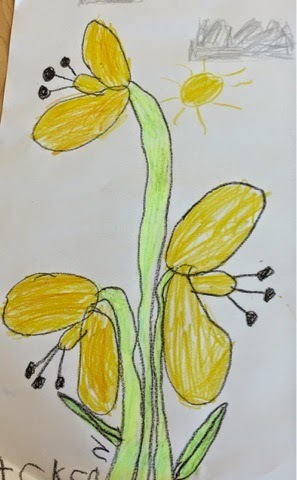 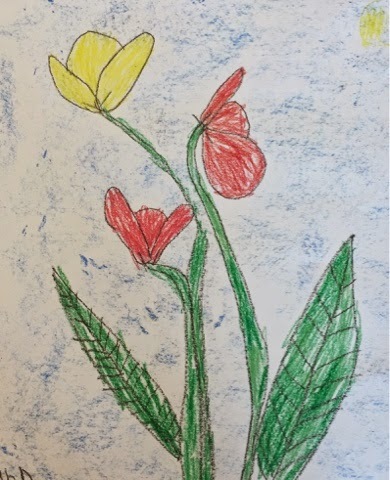 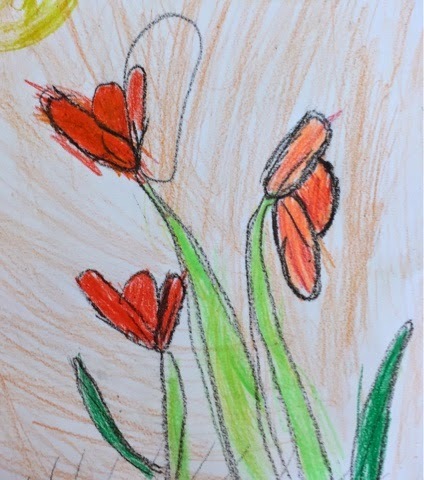 Art with Mrs. Nienhouse: ....bring May flowers! 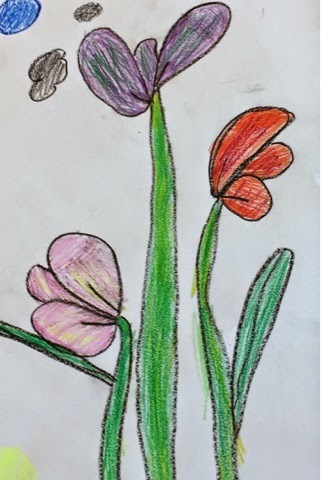 Who said assessments have to be boring! 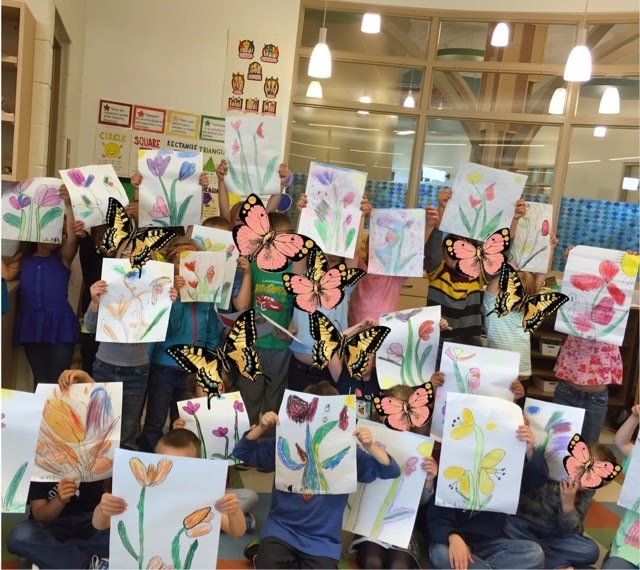 It's the end of the year and it's time for me to assess everything we've learned through the year. 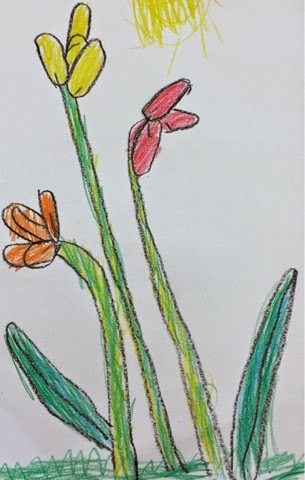 From how to make shapes and lines to describing styles of art and the grade level artists, I try to find ways to creatively check for knowledge. 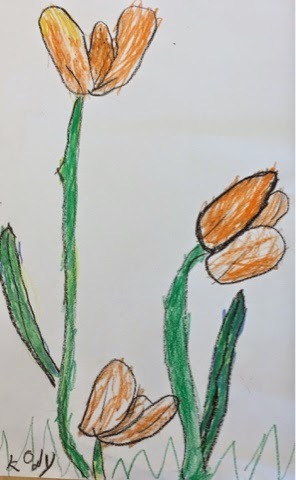 Here are some of my Kinder tulips that look adorable but also show me the ease for some students to make ovals, curved lines, angle lines, straight lines, and the motor control to color in one direction and color in a confined space. 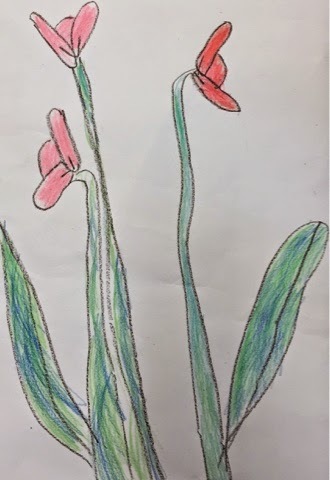 It might not seem like much but for students in kindergarten who at the beginning of the year might not have had the confidence ( wanting me to draw it for them or afraid to try) or the control to do all this, to now create a picture with ease and understanding of all the vocabulary terms makes me so happy. 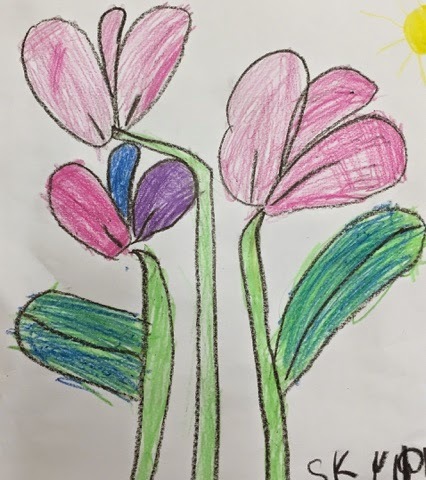 The simplicity that we learn at this stage will be the foundation for them to build upon in future years and if you've ever been to one of Hudsonville's district art shows, you will see the amazing work we are building up.